Every February, old Brigaders, families, friends and sympathisers gather here to remember their dead comrades. In more recent years, the number of Brigaders has dwindled and last week there was only one, a sprightly 97-year-old Spanish soldier who sounded every bit as committed as he was back in 1937. They come from Germany, America, Belgium and France as well as Britain to remember, carrying their flags and banners and singing their songs. 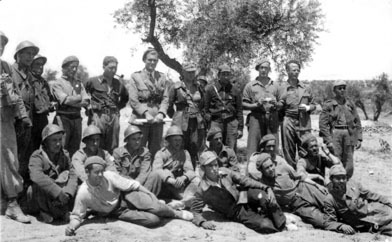 There’s a new book on the Spanish Civil War coming out in July. It is based on new research (carried out in England, Spain and Russia) and covers the British Battalion’s baptism of fire at the Battle of Jarama. The book follows the volunteers on their journey from England, through France and onto Spain and details their training before focussing on their first three days under fire. As much as possible is told in the volunteers’ own words.